What Drains Better than Air? A research project conducted at Texas A&M, concluded that you can greatly reduce your natural grass irrigation frequency and needs by up to 40%. Using AirField Systems Agronomic AirDrain Golf Drainage. The five year research project was jointly funded by the United States Golf Association and AirField Systems and was a collaborative effort between Texas A&M, AirField Systems and the United States Golf Association. 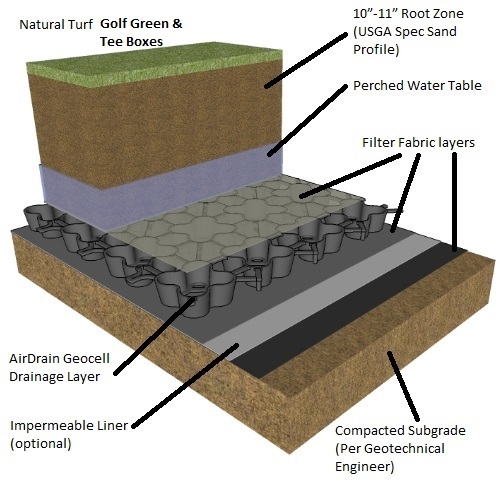 The data from the research showed that the AirField Systems golf drainage profile can provide up to three more days of plant available water than a USGA recommended gravel and sand profile. AirDrain creates its own almost perfect perched water table. No special watering techniques needed. In a cost value performance and ease of installation proposition no other product comes close! 21st Century Golf Drainage with Superior Performance, with AirDrain you can capture and reuse storm water and expensive irrigation. AirDrain delivers 100% vertical drainage under every inch of your project bringing a drainage consistency across the entire project. Allowing water to drain more uniformly only limited by the profile above it and the exit drains. 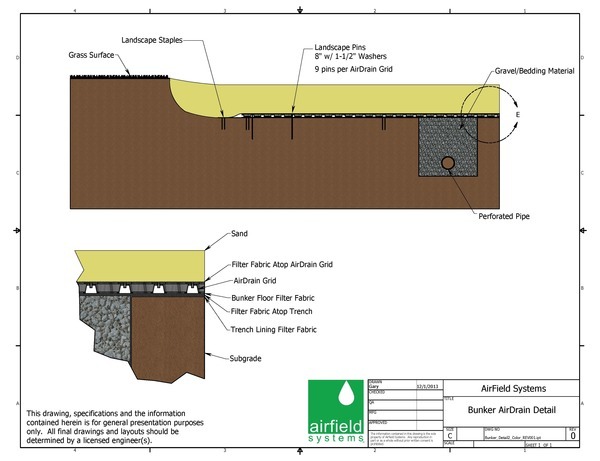 In 14 years, AirField has never heard of a rain out or standing water on any of its natural grass installed projects. We keep your putting greens, tee boxes and bunkers playable, no other product comes close. Before you build or renovate a bunker, READ BELOW! 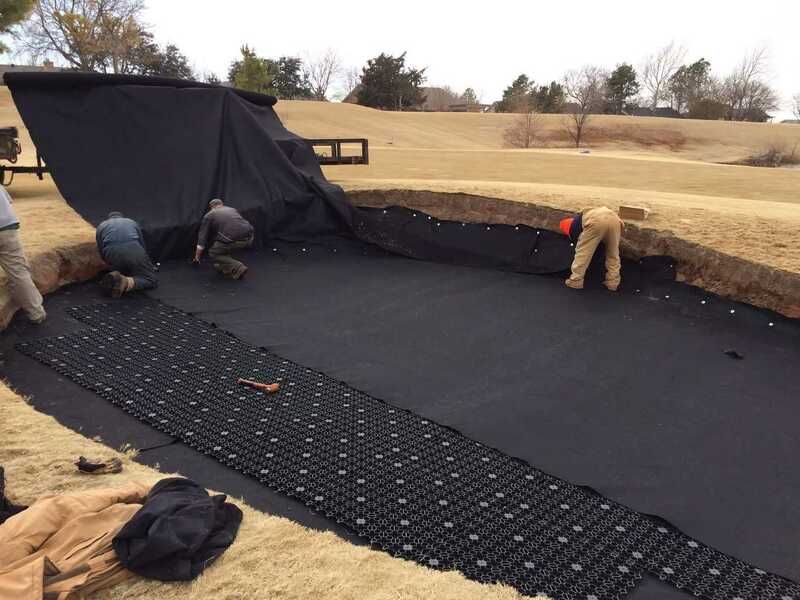 Don’t throw your hard-earned money away, choose the easiest and best draining bunker install there is by far! The entire bunker floor acts as a drain using gravity to pull the water through the profile. FINES SHOULD NEVER CLOG THE SYSTEM! No other product can or does out drain or outlast the AirDrain Bunker System. Pick the worst bunker on your course install our bunker, and then call back in 3 months and order enough for the rest of your bunkers! Contact AirField Systems now with any questions you might have or for more information.